Alpine, Composer, Debian, Docker, Helm, Maven, npm, Python, RedHat, Ruby, Vagrant, Raw & More. Streamlined packages from development to production. Let us handle the package management for you. With multi-tenant repositories you can universally manage all your dependencies and artefacts within a single repository, regardless of the packaging format. Now Python can finally co-exist with Ruby, or any other package format as described below. Each package format is supported as a "native" repository for that type; e.g. you can use pip to install Python packages. Repositories, packages, users and organizations are all free to create. You only pay for the storage of successfully synchronised packages and the bandwidth of successfully downloaded packages, and that's it. Our package plans all include a generous built-in amount of storage/bandwidth, and depending on the plan, a fixed-rate overage charge per GB so that you can easily manage your costs. A simplicity-first approach and first-class API/Webhooks support help to facilitate DevOps/CI/CD automation by making it easier and quicker to integrate your processes. The Cloudsmith RESTful API is provided with full OpenAPI/Swagger support, so you can generate a client-side library in the language of your choice and explore/test the APIs easily. Webhooks will allow you to react to events such as packages being added. Pushing your packages to Cloudsmith makes them available at local-rate latency across the entire world, powered by our blazing-fast Content Distribution Network (CDN). Not everyone is latency or throughput sensitive, but no-one appreciates slow or unreliable downloads and installations, including your customers and even your servers. All of our uploads are also provided with transfer acceleration to give you the best throughput possible. 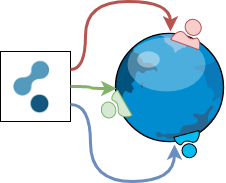 Packages can be managed within public repositories or private repositories. If you only need to distribute your packages to the world as fast as possible, you're covered by a public repository. 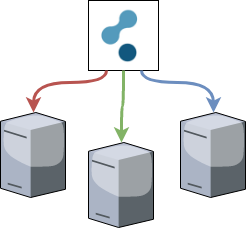 If you need to distribute your packages to internal servers, applications or developers/users, or if you need to use our entitlements feature to support license-based distribution, then private repositories are what you need. Your postage carrier can provide tracking for packages, so why can't your package management service? Cloudsmith offers detailed access logs and statistics for all package uploads and downloads, including geographic information on package consumers. We use this information internally for metering, but you can also use it for your own metering or monitoring purposes. The logs and statistics API will also be offered to provide programmatic access (coming soon). ... And much more! See the full list of features below! At Cloudsmith we take pride in offering a service that is as open, honest and transparent as possible. We want you to be happy with the service, and to understand it completely before committing. That's why we offer a completely free 14 day no-card trial on all premium plans, so that you can try out the best that we have to offer, with no committment. If you're not expecting to use much, don't worry, we've also got a completely free plan just for you. Our pricing page has more detail on comparisons between plans.